Dear OpenInvestors, Two-and-a-half years ago, we founded OpenInvest, with the goal of helping people invest better while incorporating the social or environmental issues they care about. We spent the first 1.5 years - including a stint at YCombinator, and using skills developed at the world’s largest hedge fund - building out the technological and other systems necessary to deliver a customizable investment platform for normal folks. A year ago, we officially launched OpenInvest to the public. It has been an amazing journey since then, with great credit due to our users and other stakeholders, who helped give us the feedback and insights necessary to grow. 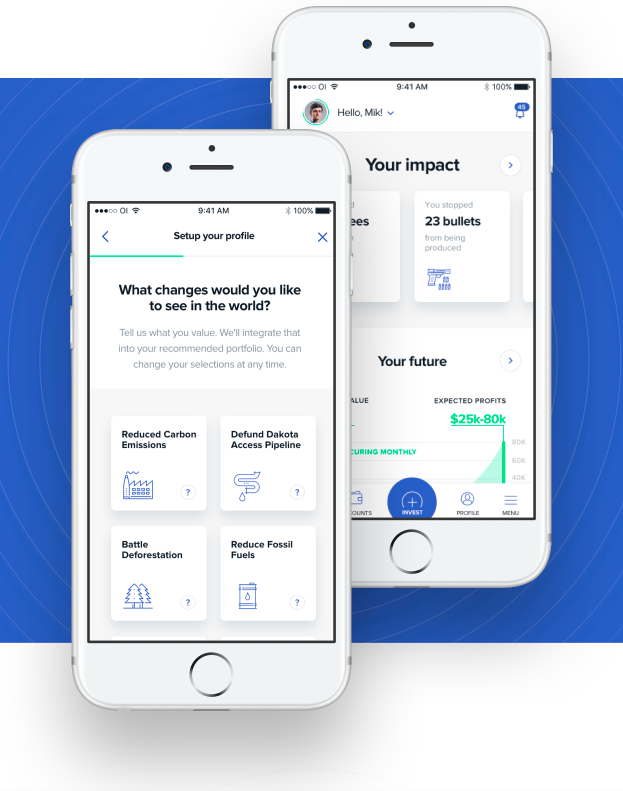 The product and team have expanded significantly, and we are now funded by Andreessen-Horowitz, as well as financed and advised by many of the world’s leading impact investors. All of us share the same vision: using technology to cut out layers of intermediaries, so that normal people can know where their money is going, make more of it, and easily invest in the things they care about. The OpenInvest story now culminates in October of this year, when we will release the next chapter of our vision. We are not only launching the OpenInvest iOS and Android apps. We are including the features and design elements we’ve been dreaming about, and secretly developing, for years. We can’t spill all the beans before launch. But sign up for our newsletter list in the footer of this page, and maybe we’ll give you some sneak peaks.